After a brief hiatus over the holiday season, ONE Championship returns this weekend with the first event of 2019, ONE: Eternal Glory. The card will take place this Saturday, January 19, 2019, in Jakarta, Indonesia. The event will be headlined by a strawweight title bout between reigning champion Joshua “The Passion” Pacio and recent arrival Yosuke “Tobizaru” Saruta. The 14-bout card contains a number of intriguing match-ups whose outcomes could determine future title contenders in at least two divisions. The event will also signal the start of ONE’s three-year partnership with Turner Sports, who will provide exclusive coverage for the United States market. The full event will air live on B/R Live. This year could be a breakthrough year for ONE as they look to expand into new markets. Without further ado, let’s take an in-depth look at what ONE: Eternal Glory has in store for us. This weekend, Team Lakay’s Joshua Pacio will attempt to do what neither of the previous two ONE strawweight champions could manage, and that is, mount a successful title defense. At only 23 years of age, Pacio has the ability and maturity to remain a dominant force in the division for years to come. The only unanswered question is, how well he will cope with the added pressure that comes with being a defending champion? Pacio captured the belt with an impressive unanimous decision win over Japanese submission expert Yoshitaka Naito last September at ONE: Conquest Of Heroes. “The Passion” out-landed Natio over the course of the five-round bout and demonstrated impressive takedown defense which helped nullify Natio’s grappling. In Yosuke Saruta, Pacio will be sharing the cage with an athlete who feels he can win the fight either via his striking or his ground game. The 31-year-old Japanese athlete only made his promotional debut last month at ONE: Destiny Of Champions, where he defeated former strawweight champion Alex Silva via unanimous decision. Saruta, a former Shooto Strawweight World Champion, is a powerful grappler with a lethal right hand. He will come into this contest without the pressure or expectations that Pacio will carry on his young shoulders. The Filipino has all the tools he needs to leave Indonesia with the belt still wrapped around his waist. However, against Saruta, he will be facing a livewire who is more than capable of pulling off a victory. 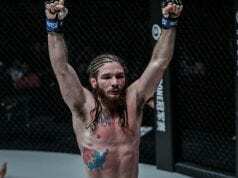 The ONE Super Series was nothing less than a revelation for the promotion last year. Right out the gate, it became an instant hit with fans and fighters. Recent additions to the roster have only added to the ever-growing pool of striking talent that exists inside the company. New Zealand’s Alexi “Phet” Serepisos and Thailand’s Mongkolpetch Petchyindee Academy are two of the company’s latest signees. This weekend the pair will clash in a Muay Thai flyweight bout. Mongkolpetch is a decorated Lumpinee Stadium world champion with 110 career wins under his belt. The 23-year-old is known for his strong clinching but has due to this bout taking place over three-rounds as opposed to five he has stated that he will focus more on his striking. The contest will be fought in MMA gloves, which should make for an even more entertaining spectacle. Serepisos is regarded as one of the top practitioners of the art of the eight limbs in New Zealand and has won both national and international titles. Fearless inside the ring, the 24-year-old is the only New Zealander to ever compete for a World Lethwei Championship. This match-up should serve as a perfect way for both fighters to showcase their talents to a broader audience. Fans should expect an intense, and action-packed affair. 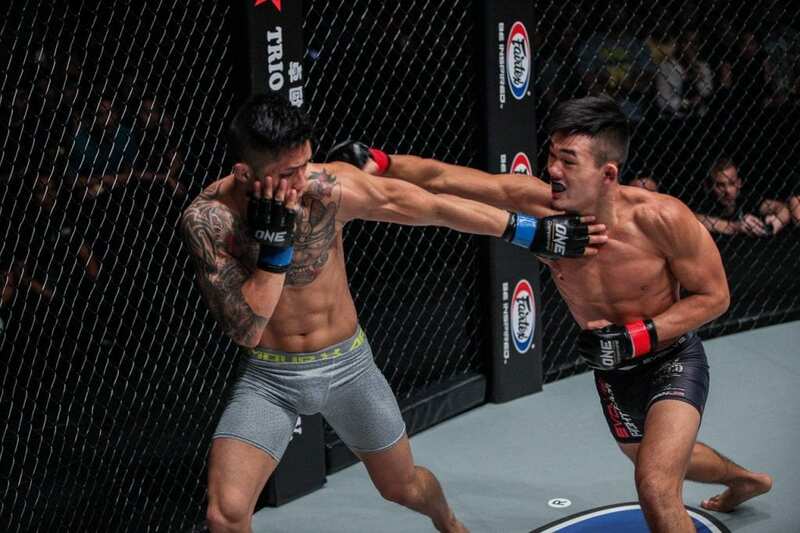 Singapore’s Christian Lee is the odds-on favorite to claim victory in his rematch with Team Lakay’s Edward Kelly this weekend. The pair first met last September in China. Lee controlled the opening exchanges of the bout, but in the third minute performed an illegal suplex and was disqualified. It was a frustrating moment for Lee, who appeared to be well on his way to victory. After a mixed 2018, the 20-year-old has targeted 2019 as the year he claims a ONE World Title. He’ll need to win impressively on Saturday night if he wants to begin building a case for another shot at Martin Nguyen’s featherweight crown.